By far one of the cheapest open coil mattresses around, the Amber Star taken from Bedstar’s budget Star Premier range is great value and a best-seller because of this. There’s no compromise in specification with this mattress as it still measures as 9 inches (23cm) thick with a medium tension rating and an open coil spring system. This traditional mattress type is often found in the more basic options but offers outstanding support and tends to be firmer. 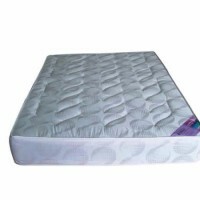 The support offered by the 13.5 gauge open coils is beneficial to the wellbeing of your back but you won’t found the Amber Star mattress uncomfortable due to the generous layer of padding and the masterfully quilted damask cover. A great point of this Star Premier mattress is that it features hypoallergenic filling fibres making it safe for asthma sufferers to sleep on. Star Premier Amber Star Mattresses are ideally suited to bed frames and there are a wide array of these to choose from to suit the desired style of your bedroom whether it be black wrought iron frames, oak bedsteads with panelled headboards or leather upholstered beds. 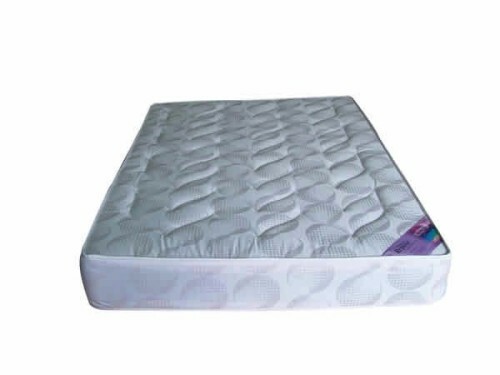 Due to its popularity you can get free next day delivery on this mattress review from our recommended supplier who also have the cheapest price at the time of writing. Be the first to review “Star Premier Amber Star Mattress Reviews” Click here to cancel reply.